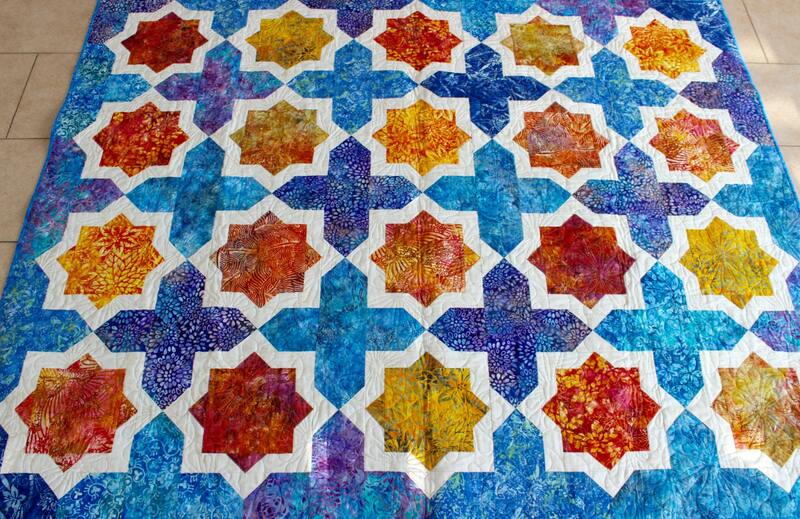 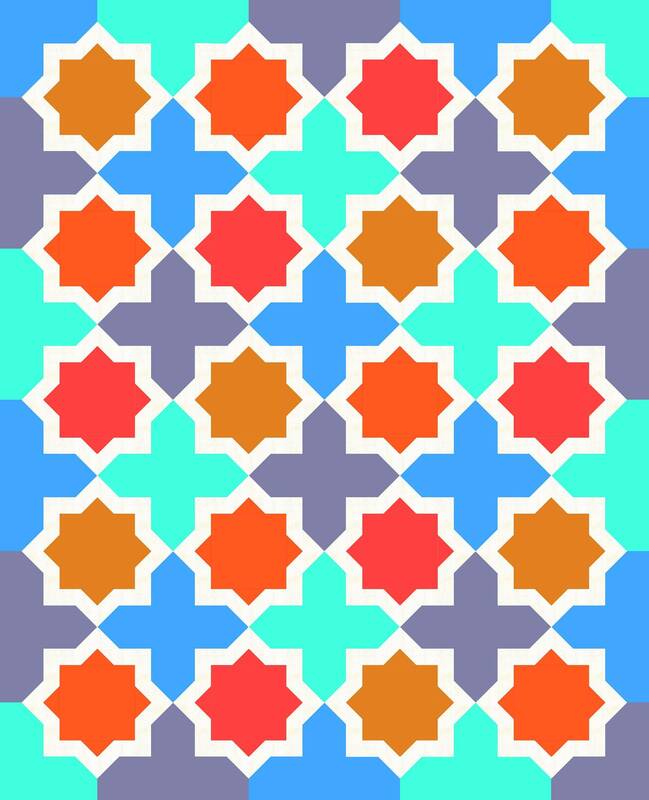 My quilt was inspired by the geometrical forms of tiles made in the Spanish-Moroccan tradition and by my Orange and Blue batik fabrics collection. 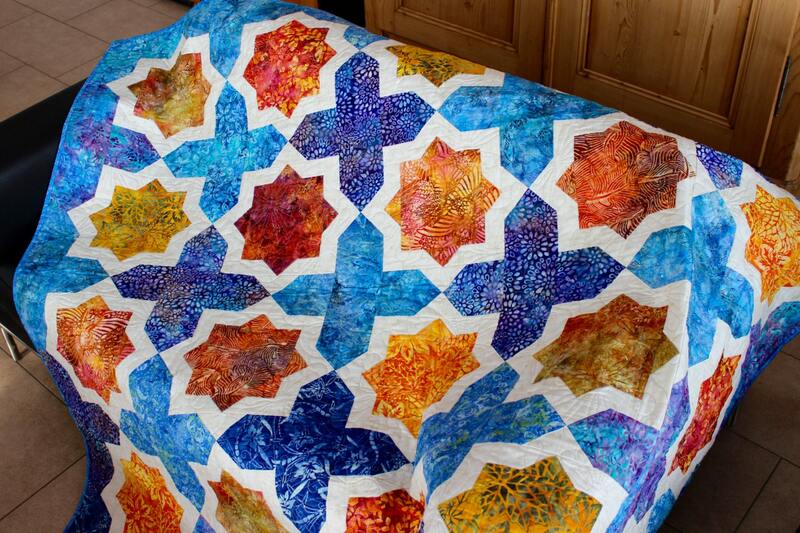 My goal was to make this quilt look like a vibrant, luxurious tiled surface. 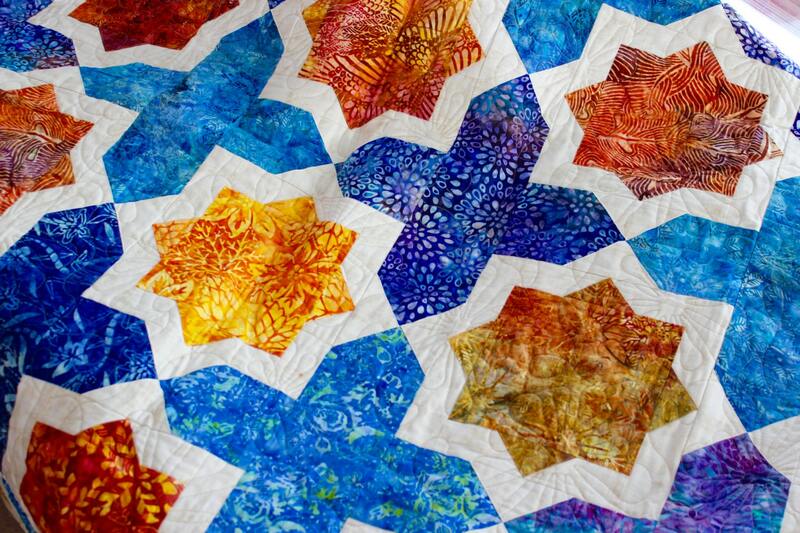 I wanted to create the quilt with as few seams as possible and without cutting my gorgeous batiks into too many pieces. 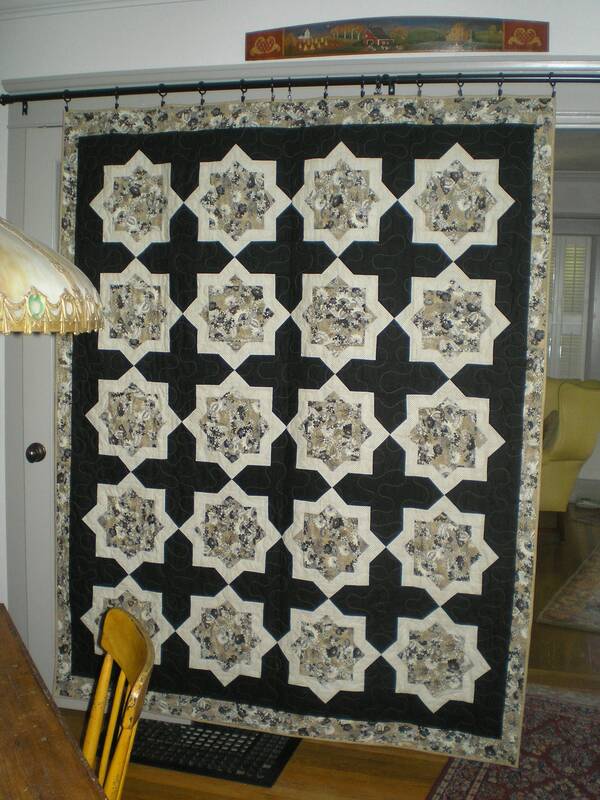 I adapted the "one seam flying geese" method to piece this quilt and to reach the desired effect.